Baroness Cox (Cross Bench Peer): While recognising the enormous significance of these elections, is the noble Baroness aware that I recently visited the Thai-Burma border and Shan state, where I met refugees from Kachin and Shan states, where fighting with the Burmese army continues, displacing tens of thousands of civilians? What measures have Her Majesty’s Government taken to ensure the success of the national ceasefire agreement and to support credible, free and fair elections in Kachin and Northern Shan states, where the fighting continues? 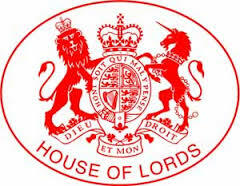 Baroness Anelay of St Johns (The Minister of State, Foreign and Commonwealth Office): My Lords, the noble Baroness is right: fine words from politicians need to be backed up with practical work. The UK is a leading member of the Peace Support Group. We are supporting the dialogue towards a national ceasefire agreement by funding experts who have direct experience of these matters to assist the process. We are putting our money where our mouth is: we are the largest bilateral donor to Kachin State and we announced a further £13.5 million for humanitarian work there in 2013. In addition, we have earmarked £3 million of flexible funding to support the peace process. It is practical work, but one has to have a long-term view and not give up in difficult circumstances.